So, I'm sitting in a shed in a paddock in almost the middle of nowhere (South Waikato, the beer selection is terrible, trust me). Given the ability of little things to trigger bouts of nostalgia, I offer my latest nostalgia inducing image. 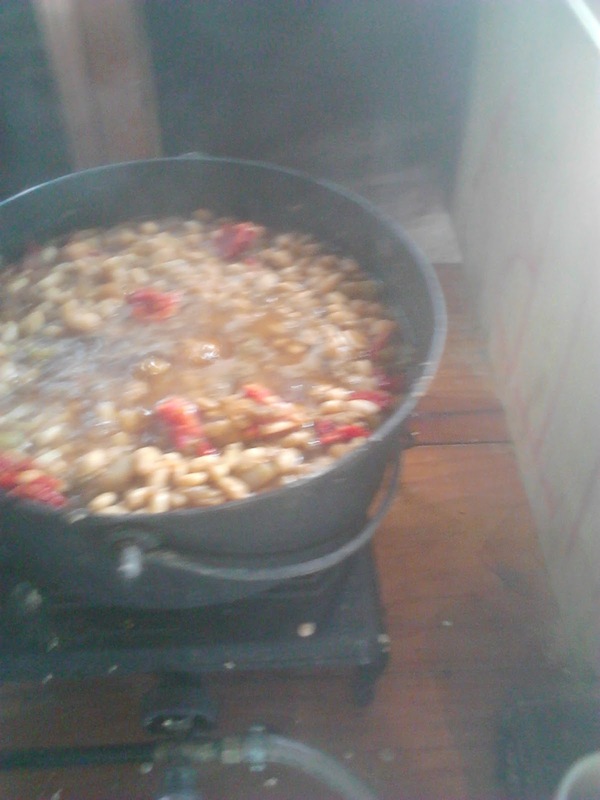 Not so much the contents (beans, I'm cooking for large numbers of people, the food is cheap but nice). Rather the pot. Or more correctly the dutch oven that it's cooking in. It's the same pot that Dad used to cook meals and loaves of bread in when we went camping as sprogs. I managed to convince Dad to part with it for a couple of weeks, cleaned it up and got it back in service. And I have to say, it's a pleasure to cook with. Superb piece of cookware. And very nostalgia inducing. Very cool.